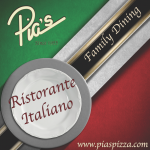 Pia’s Ristorante Italiano, also affectionately known to most as Pia’s Pizza specializes in catering to groups of 15 or more! 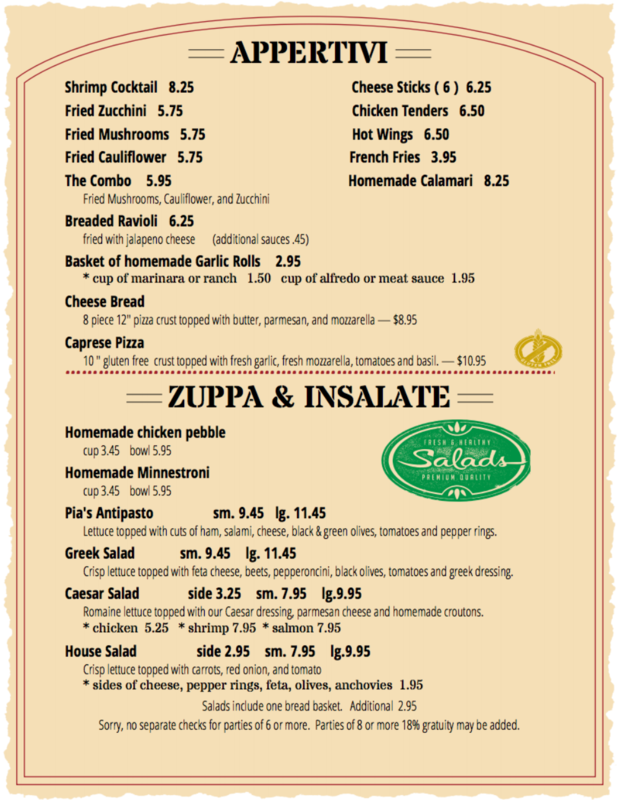 We offer a multitude of menus selections including; carry out, in-house banquets, catering, and of course, dining. From a romantic date to a graduation party, Pia’s can and will have any type of event covered. Because menus and food at Pias are perfect for any event! Pia’s welcomes many types of events: Baby Showers, Birthday Parties, Presentations, Fundraising Events, Celebrations of Life, Graduation Parties, Homecoming, Rehearsal Dinners or Retirement Parties. Also, ‘any’ other type of group, lunch or dinner event. Also, Families are always welcome! Besides, we host numerous children events and reunions for local schools and colleges too! For starters, parties or groups of 20 or more, you will need to choose a package that fits your needs. 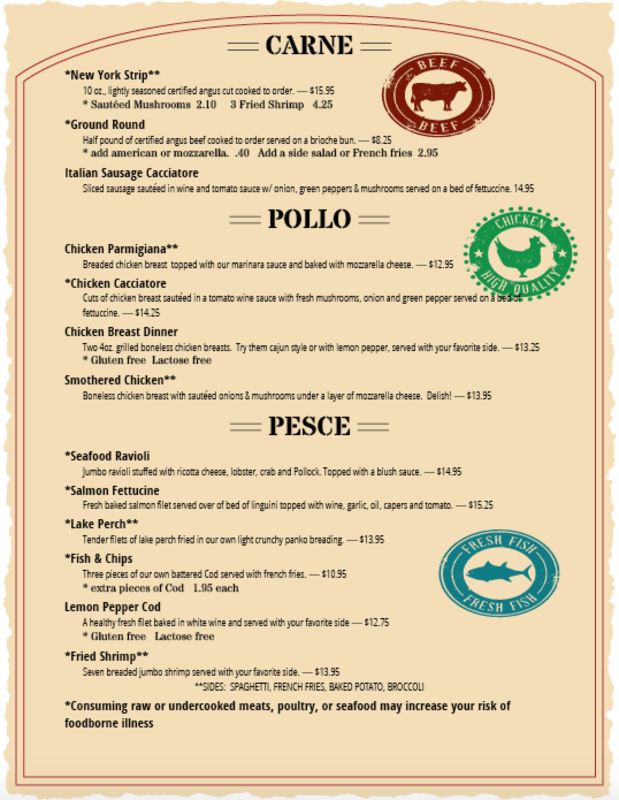 Once you have decided on a menu selection please call us (313) 383-1309 to finalize your plans and reserve the date with us. We can not take reservations over social media, websites or secondary internet site directories. 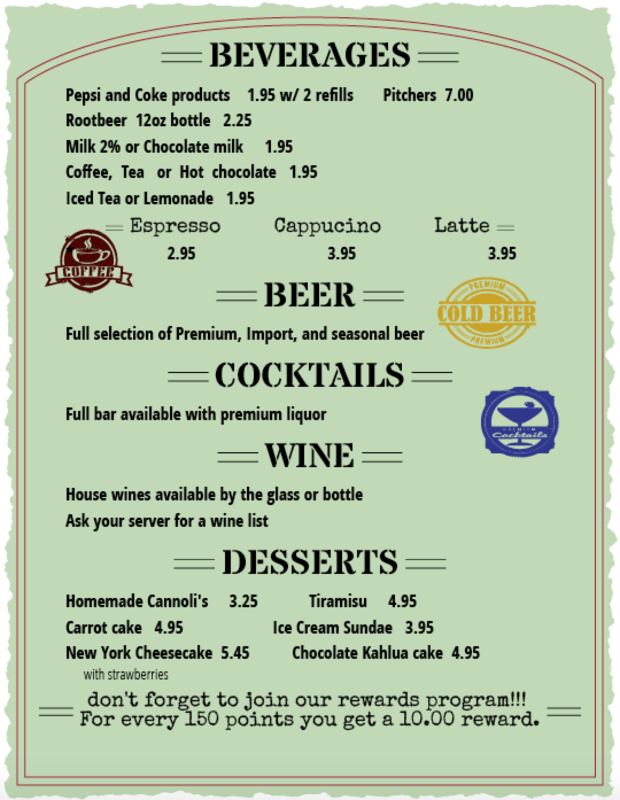 Just call us to make a reservation so we can take care of the deposit and make sure it goes in the book! Consequently, there is a $2 deposit per person for reservations – deposit. Although, the monies will be applied as a credit off your total bill. Also, If you are bringing your desserts, there is a minimal charge for plate service. There are no room fees or hidden charges. If the party cancels, the deposit is non-refundable. Party Trays – Carry out or delivery – feeds approximately 20-25 people. 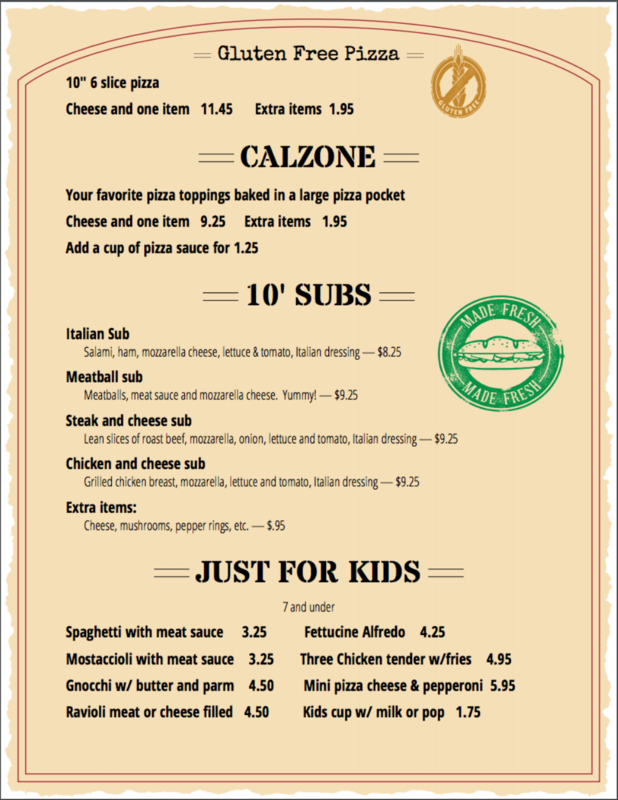 Family Packs – Carry out or delivery – feeds approximately 5-8 people. 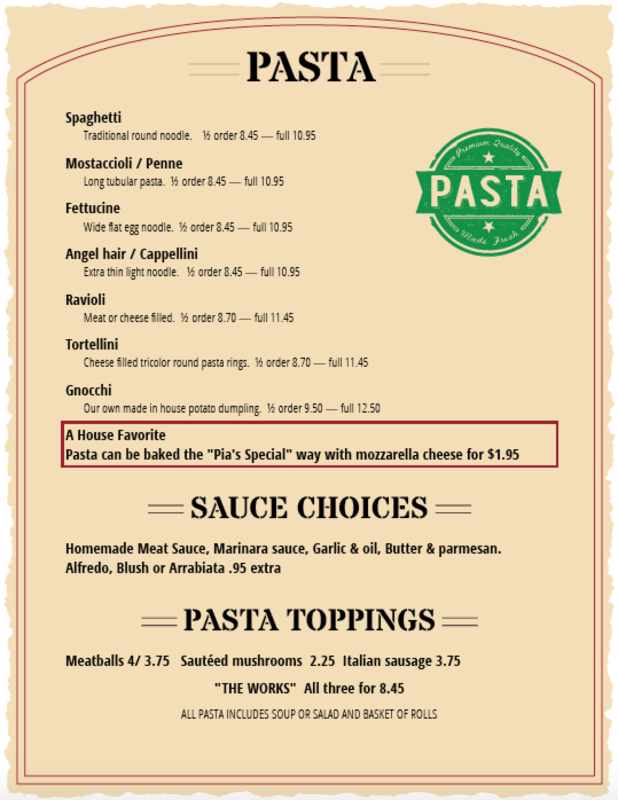 Pia’s specializes in pizza, home-made pasta, and hearty Italian dishes. Pia’s offers a full bar, lounge, booths, tables and a great room for a larger lunch or dinner parties. 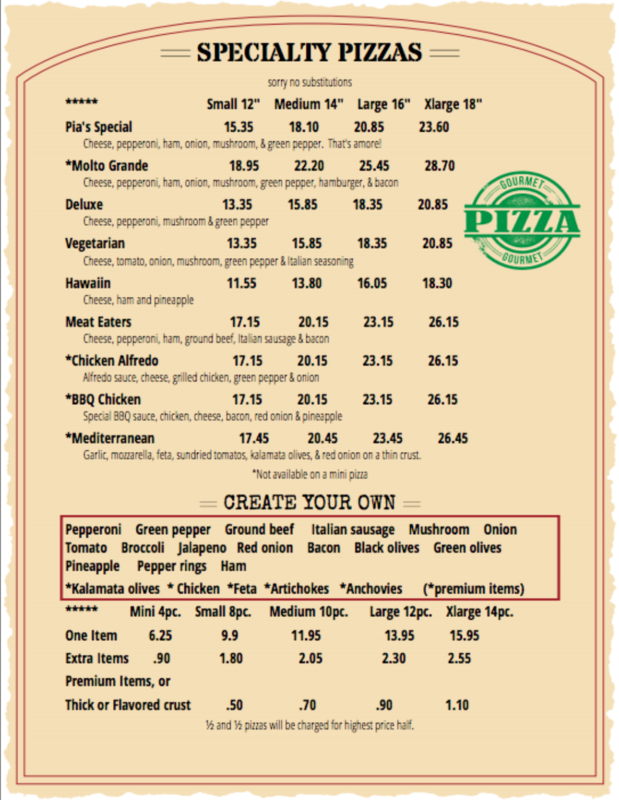 Pia’s specializes in home-made pizza, pasta, calzones, subs & hearty Italian dishes are sure to satisfy every taste bud. 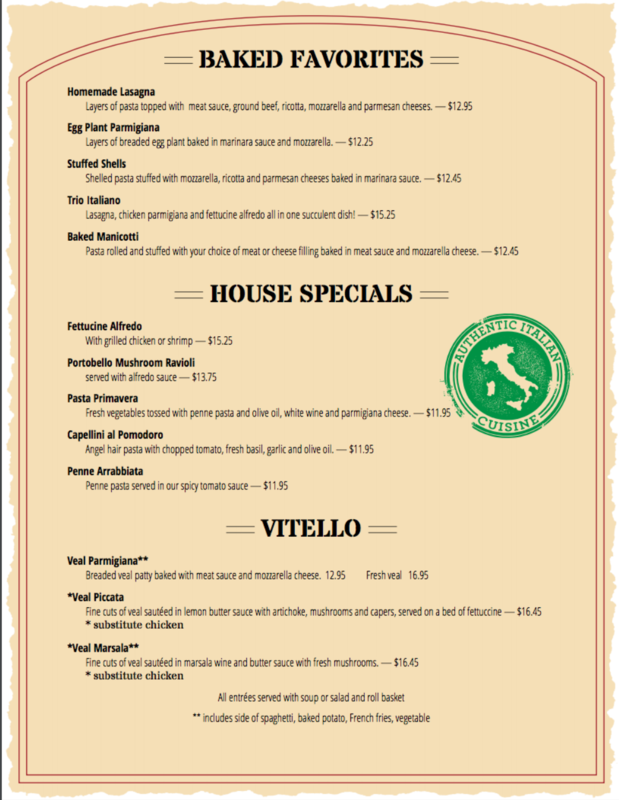 All of our pasta, dressing, and sauces are prepared on-site with the freshest and finest ingredients. 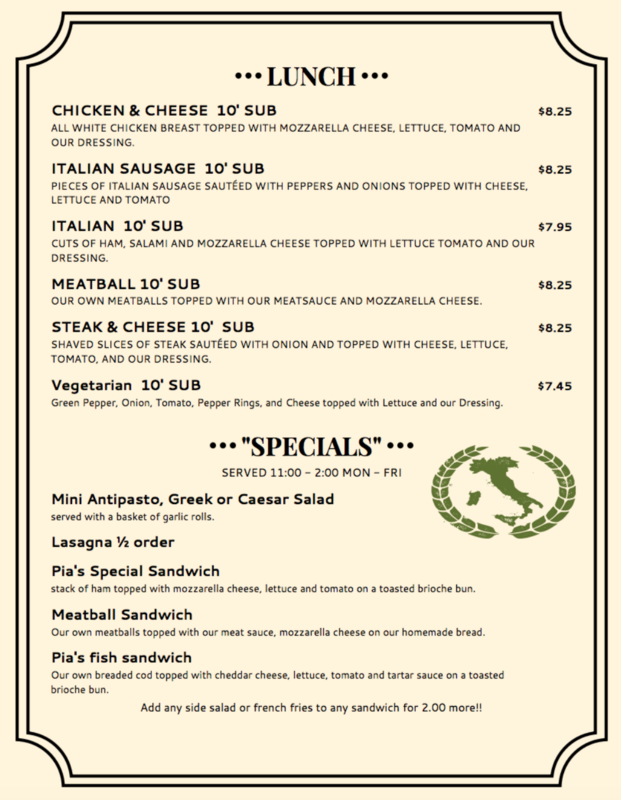 Make sure to enjoy our fantastic soup, salad, and our famous rolls – they are unforgettable! And Don’t forget to top off your meal with a cannoli or one of the scrumptious offerings in desserts – they are just delicious! So, It is no wonder we are among downriver’s best-known restaurants.